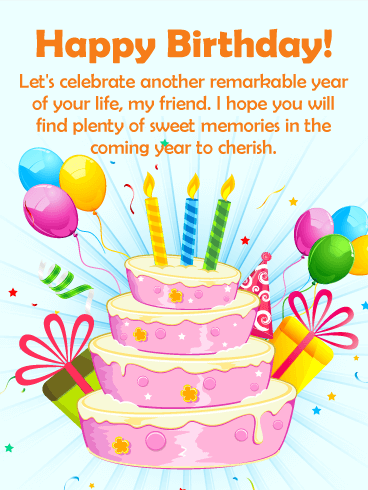 Send your friend sweet birthday wishes for the coming year with this birthday card. 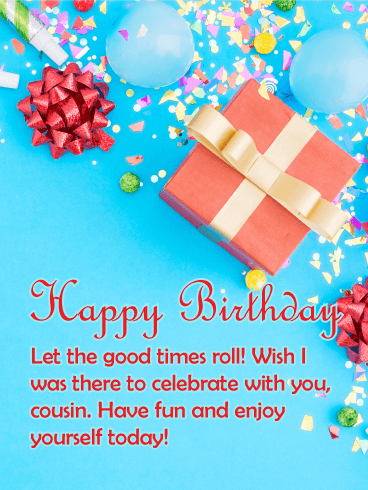 It's time to celebrate your friend's birthday and wish her the best for the future. 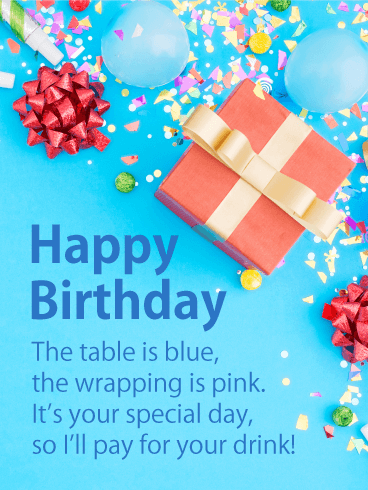 This birthday card looks like you're ready for a birthday party complete with a birthday cake, candles, balloons, presents - even a party hat! 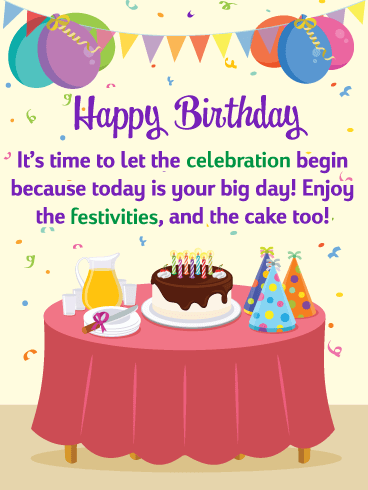 This fun birthday card would be great if you are looking to brighten someone's big day! 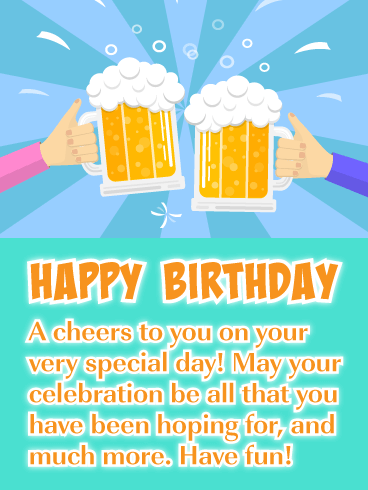 It features two perfect mugs of beer that are being used to send a special "cheers to you" to anyone that is celebrating their birthday! 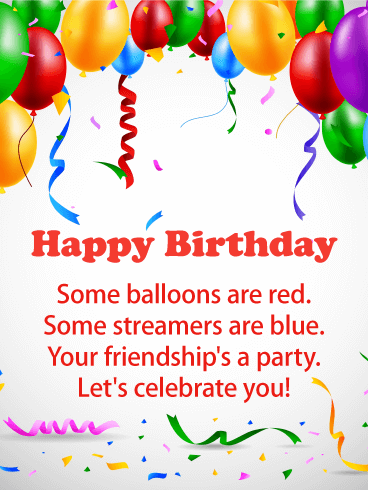 The colors are fabulous and bright, it will certainly get the attention of him or her on their birthday! 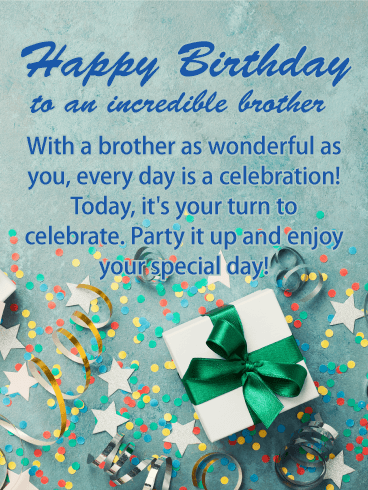 So let someone know that you wish their celebration is all they hoping for by sending this fantastic card out today! 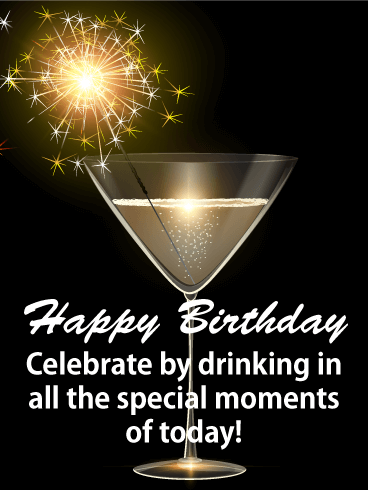 Birthdays are exciting occasions that should be celebrated the right way, with champagne, party hats, and balloons! 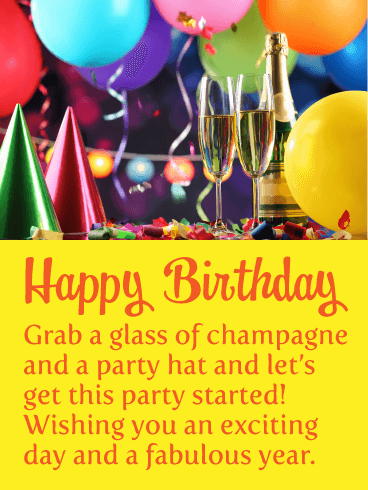 This birthday card contains all these fun elements so the person you know who is having a birthday can get the party started right away! 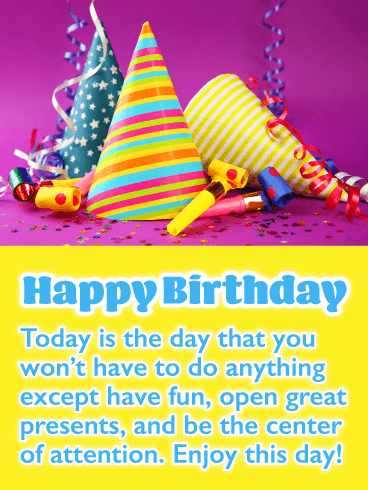 This terrific birthday card also features vibrant colors and a thoughtful message. 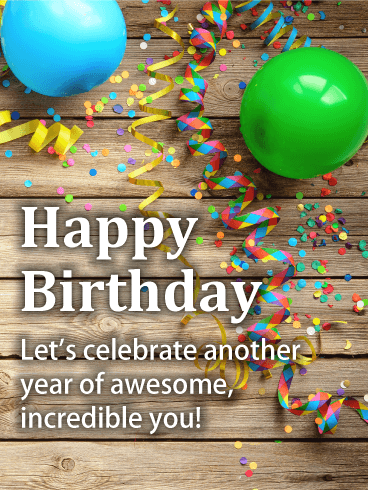 So wish someone an exciting day and a fabulous year with this festive birthday card today! 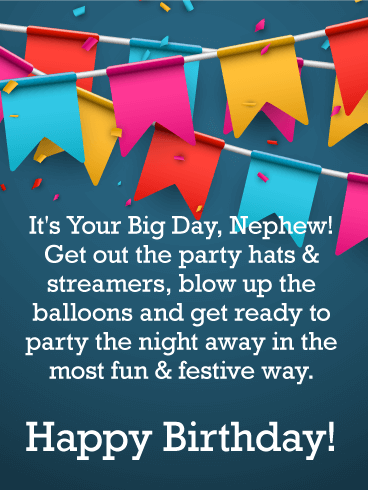 Get the party started by sending your daughter-in-law this festive party hat birthday card! 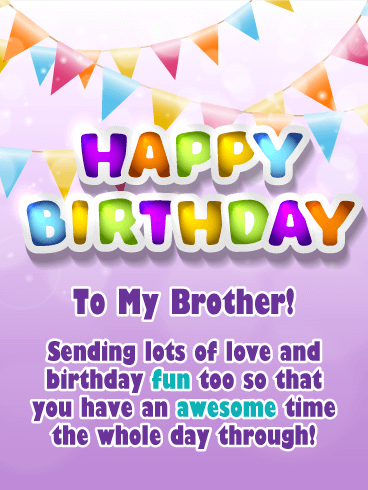 It showcases colorful birthday hats with a sparkling purple and blue background. It looks fantastic! 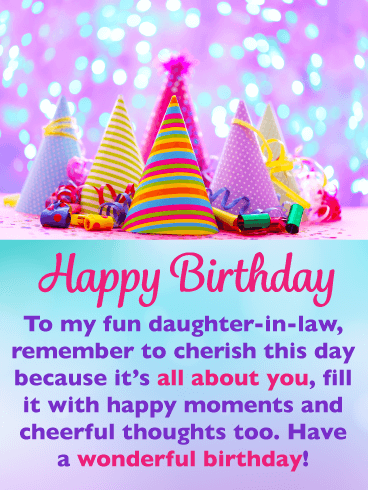 The special message tells your daughter-in-law that this day is all about her, and that it should be filled with cheerful thoughts! 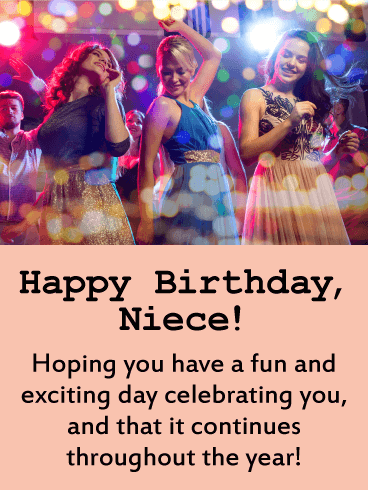 So wish your fun daughter-in-law a wonderful birthday with this outstanding birthday card today so she can enjoy the party hats and sparkles on this big day! 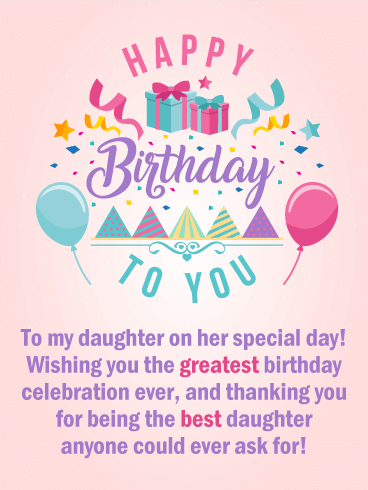 Everyone loves birthday cupcakes and balloons, and this is why they were added to this fabulous birthday card! 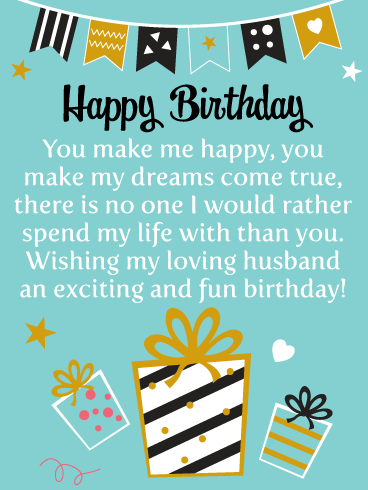 It's your sweet husband's big day and he deserve a greeting card that will make him feel special, and this will certainly do the trick. 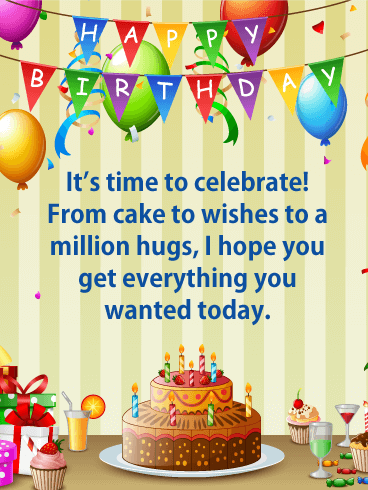 It will wish him a fantastic day filled will all the things he loves in life. 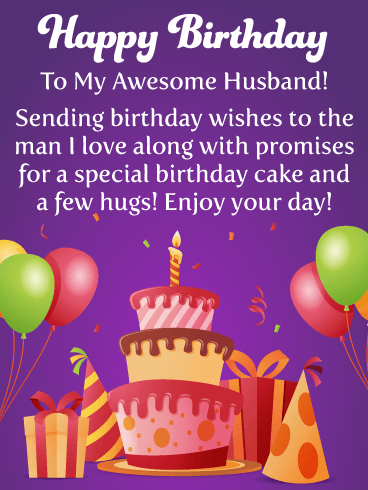 It will mean even more to him knowing that it's from his loving wife. Send these cupcakes over to your husband before they're gone! 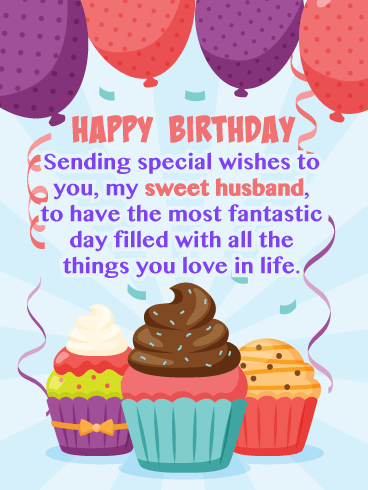 If you want to send a birthday card that will warm your husband's heart on his special day, then be sure to send this memorable greeting card his way. It will express to him that he makes you happy and that there is no one you would rather spend your life with. Very touching! 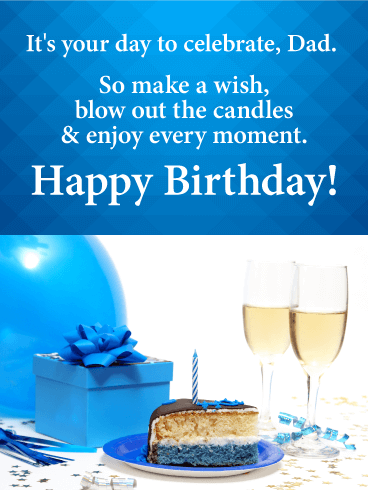 This birthday card sports a lovely design with colors of teal, gold, and black. The birthday gifts and celebration streamers look terrific. Your husband will be very impressed! A classic black background. A sparkling cocktail. A firework majestically exploding in the corner. Happy Birthday. 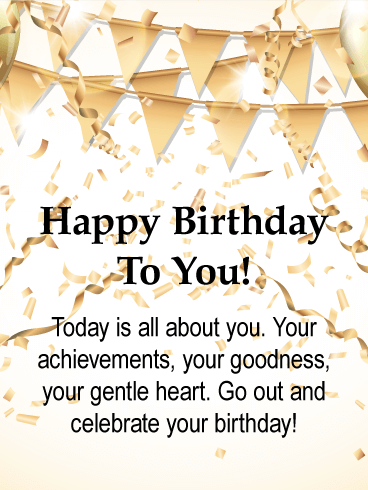 Choose to send the tasteful someone in your life this elegant birthday card urging them to kick back and enjoy the extra attention today! After all, its not every day that the world gets to tip its collective hat at such a class act. 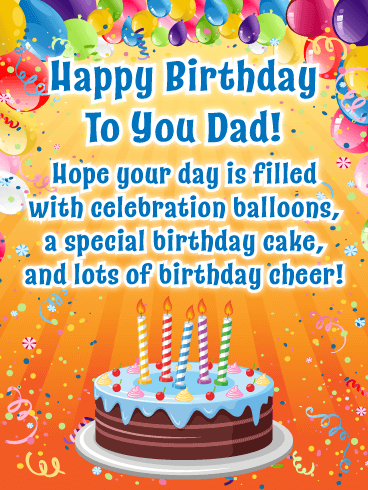 Brighten your father's day with this vibrantly colored birthday card! It features neon green and other dazzling colors that make this greeting card so stunning! It stands out from the rest and will certainly grab your father's attention the moment he sees it! 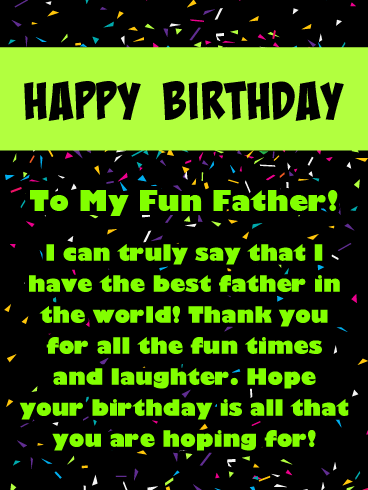 This birthday card will tell your father that you feel like you have the best father in the world! 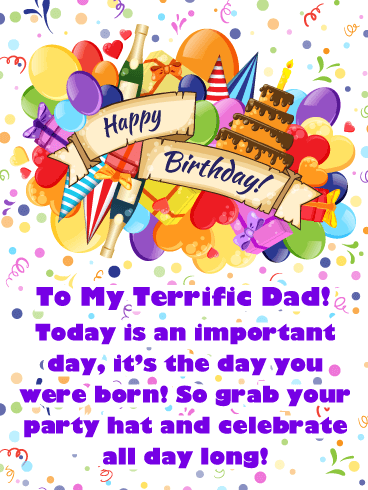 Send this cheerful birthday card over to your father right way so he can have a sensational day! 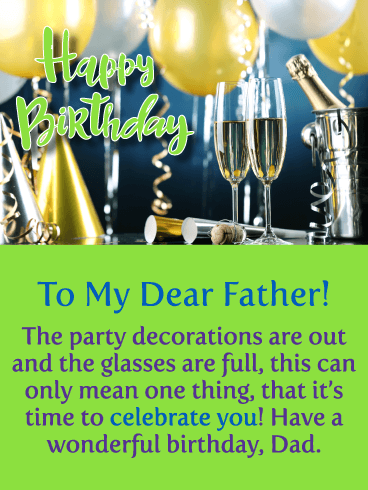 To celebrate your father's birthday to the fullest, you would need certain elements such as balloons, streamers, and champagne! 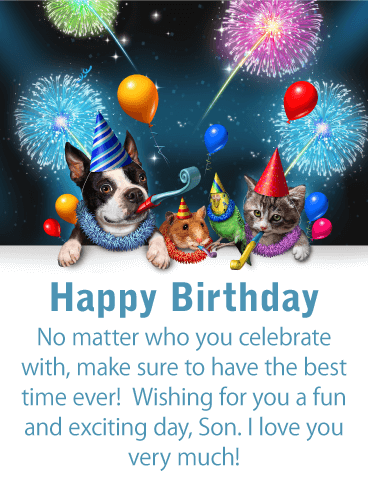 This birthday card features all these exciting celebration icons and they will make your father's birthday complete! 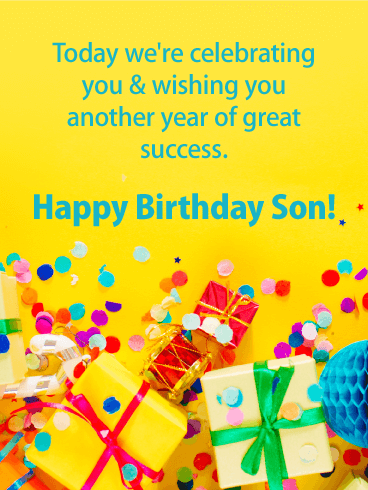 The festive colors and fancy happy birthday lettering only add to the excitement that your dad will experience when he sees this greeting card. 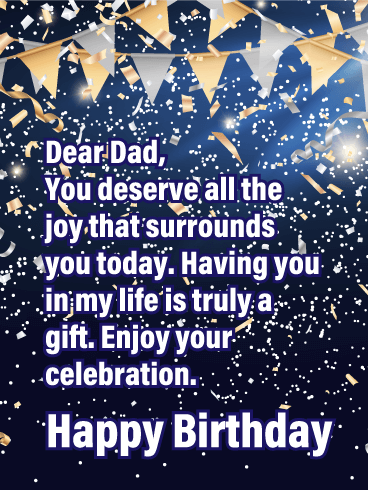 Get your father's big day started with some cheer by sending this extraordinary birthday card to him this year! 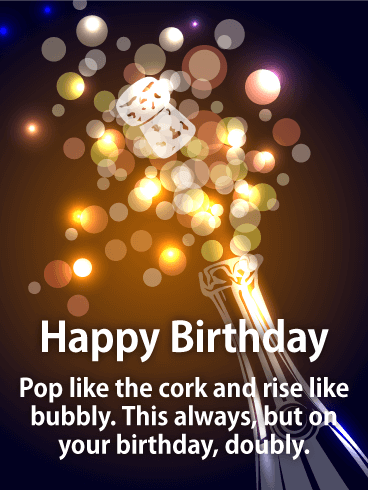 This birthday card has it all - cake, party hats, balloons, champagne, presents, confetti, and more! 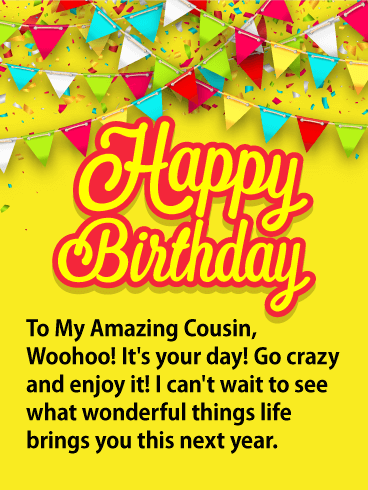 Along with this, it features bright and happy colors and a wonderful birthday message. Imagine how thankful your father will be when he reads how important this day is to his child. It will surely bring joy to his heart. 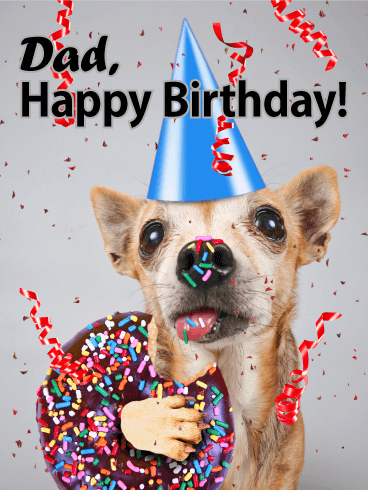 So make your father’s day the best one ever by sending this impressive birthday card his way. 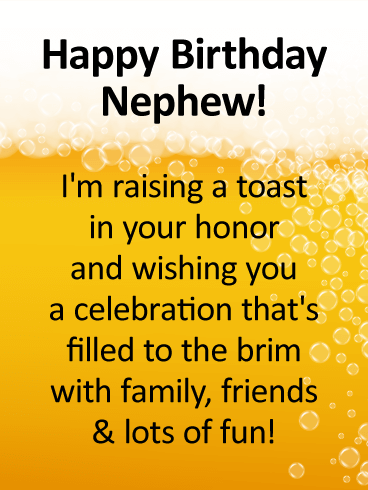 Most fathers can relate to having a good beer now and then, but on their birthday, it can be a must-have! 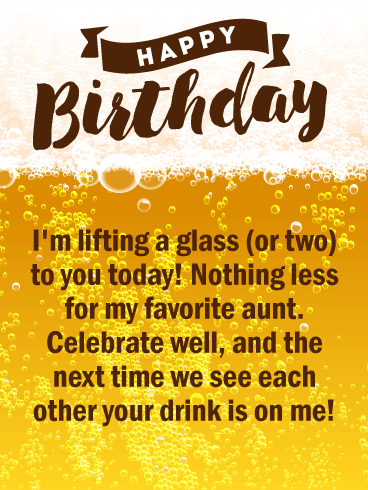 So send this special birthday card his way to remind him it's time to celebrate and have a beer! He will appreciate it. 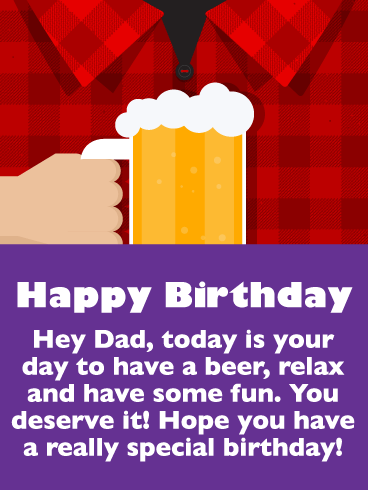 This greeting card showcases a fun image of a man holding a beer. It features colors of purple, red, and orange, along with a wonderful message that was written just for your father! From the cake to the gifts to the guests, every part of your dad's birthday should be memorable. That includes his card of course! 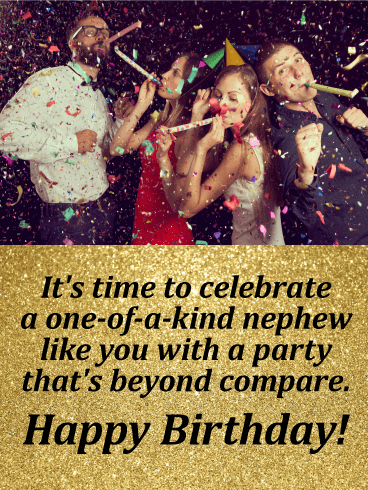 Remind him how much you care, today and every day, with this fun & festive greeting sure to put him in the mood for a party, while reminding him just how much he means to you. 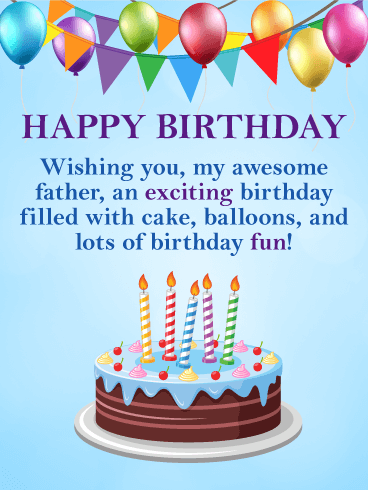 This exciting birthday card will certainly make your father happy on his big day! 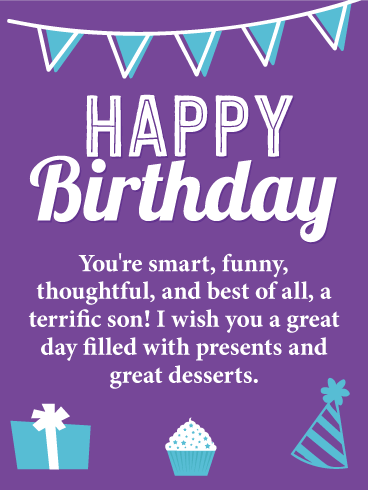 It displays all the birthday icons needed to make this birthday card extra special. This includes birthday presents, balloons, confetti, and a little sparkle! 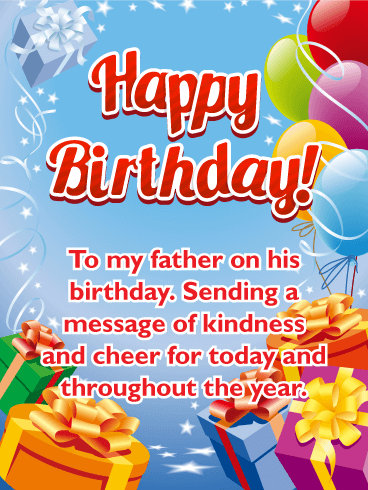 So send your father some kindness and cheer to last him for his birthday and the entire year, he will appreciate it! 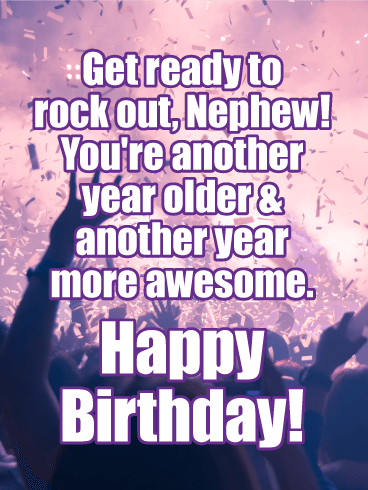 Don't delay, send this colorful birthday card to your dad today!